UPDATE (6/26/18): We have updated this post to reflect how AdBlock Plus has changed the settings interface for its Chrome and Opera plugins so that they are now the same as the version for Firefox. Millions of users are trying to protect their privacy from commercial tracking online, be it through their choice of browser, installation of ad and tracker blocking extensions, or use of a Virtual Private Network (VPN). This guide focuses on how to correctly configure the blocking extension in your browser to ensure that it's giving you the privacy you expect. We believe that tools work best when you don't have to go under the hood. While there is software which meets that criteria (and several are listed in the final section of the guide), the most popular ad blockers do not protect privacy by default and must be reconfigured. We'll show you how. Adblock Plus participates in the Acceptable Ads initiative, in which companies have their ads whitelisted in exchange for meeting a set of format requirements and, in some cases, a cut of the revenue generated by being unblocked. Acceptable Ads conflicts with EasyPrivacy, the privacy protection filter popular among Adblock Plus users. In doing so, Acceptable Ads exposes Adblock Plus users to tracking unless it is disabled. 1. Click on the ABP icon in the top right-hand corner of the browser window. This will open an interface menu. Select Options at the bottom. 2. The Options menu begins with a section titled Privacy and Security, which contains two options: Block additional tracking and Block social media icons tracking. These are not selected by default, so check both boxes and turn them on. By enabling the first two blocking options, you have installed two additional privacy filters, EasyPrivacy and Fanboy's Social Blocking List. 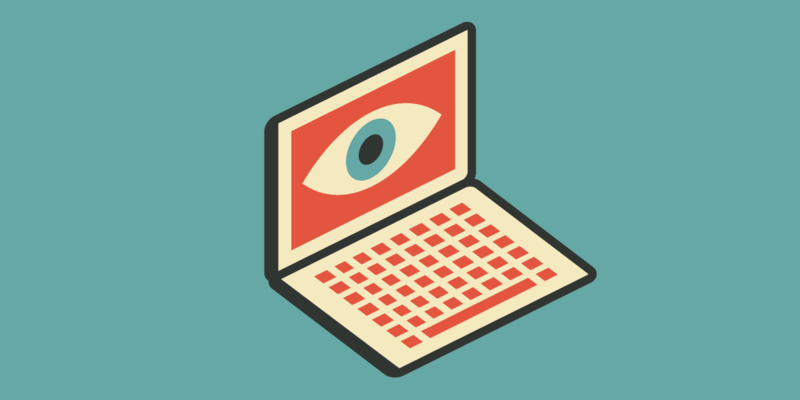 Acceptable Ads can interfere with EasyPrivacy, which is why Acceptable Ads must be disabled. 3. By clicking on the Advanced tab on the left-hand side, you can view the filters that are installed and active. EasyList blocks ads. EasyPrivacy blocks invisible trackers which are loaded regardless of whether ads are blocked. Fanboy's Social Blocking List replaces widgets such as the Facebook Like button that send information back to their owners whenever they are loaded on a web page. Despite the similarity in names, Adblock is a different extension from Adblock Plus, and has separate ownership from Eyeo/ABP. Adblock participates in the Acceptable Ads initiative, in which companies have their ads whitelisted in exchange for meeting a set of format requirements and, in some cases, a cut of the revenue generated by being unblocked. Acceptable Ads conflicts with EasyPrivacy, the privacy protection filter popular among Adblock users. In doing so, Acceptable Ads exposes Adblock users to tracking unless it is disabled. 1. To access the options interface, click on the icon with the hand against a red circle in the top right section of the browser. Next, click on Options. 2. The first box is Allow some non-intrusive advertising. We want to uncheck this. 3. Next, navigate to Filter Lists. Uncheck the box marked Acceptable Ads. Then, go down to the bottom and check EasyPrivacy and Fanboy's Annoyances. EasyPrivacy blocks invisible trackers which are loaded regardless of whether ads are blocked. Fanboy's Annoyances list replaces widgets such as the Facebook like button that send information back to their owners whenever they are loaded on a web page. Unlike the clients listed above, Ghostery does not participate in the Acceptable Ads initiative. We are covering Ghostery here because it blocks nothing by default. After installation, it displays the number of potential trackers on the page you're browsing, but without user configuration Ghostery is just a visualization tool. Blocking can be enforced at the level of an individual tracker, a class of tracker functionality, or against all trackers. We'll be blocking all of them. 1. Click on the Ghostery icon in the top right hand corner of the browser. An interface will appear. Select the second option, Advanced Blocking. 2. You are now in the Blocking Options section of the Settings. You can see the categories which Ghostery uses to classify trackers: Advertising, Site Analytics etc. Above the check boxes on the right, select the Block All option. 3. The checkboxes for every category of tracker should now be ticked. In addition, you should see a message stating that any additional trackers identified by Ghostery in the future will be blocked automatically. The following extensions require no configuration and will block trackers upon installation. Blockers may occasionally break sites which you visit. Usually this is minor, and all extensions offer the option to disable their activity on a given site if necessary. Brave is a browser rather than extension, but tracker blocking has been part its core functionality since the beginning. Brave also integrates EFF's HTTPS Everywhere, protection against malware, and an option protect against some forms of device fingerprinting. Disconnect offer both free and premium privacy tools. Their basic version is free and provides tracker blocking. Disconnect is a member of EFF's Do Not Track coalition, striving to persuade publishers and ad technology vendors to endorse responsible advertising that respects user privacy. Privacy Badger is developed by EFF and blocks third party tracking. Unlike other blockers, Privacy Badger does not rely on a blacklist. Instead, it dynamically spots trackers as you browse, identifying the ones that try to follow you across sites. Privacy Badger unblocks resources from domains that adopt EFF's Do Not Track policy, offering advertisers an incentive to give up their surveillance practices and take a privacy-positive approach. uBlock origin is an extension developed by Gorhill. It blocks all ads and tracking by default, and is widely admired by developers and users alike.